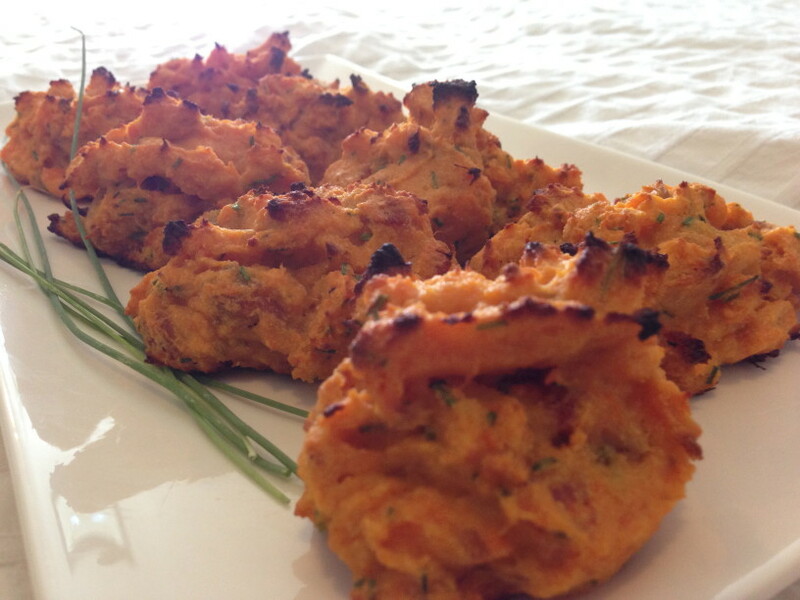 Here is another excellent recipe from PaleoOMG that my wife made and they were excellent. We didn’t change anything in the recipe, just the name since it works great as a breakfast biscuit. Polk holes in the sweet potato and bake until soft, approximately 40 minutes. Brown bacon until crispy, separate bacon from rendered fat and save both. Mix dry ingredients: coconut flour, baking powder, garlic powder, and sea salt and pepper. Peel the sweet potato and mash with a fork. Mix eggs with the sweet potato, then mix in the bacon fat. Mix in bacon and chives. Spoon 12 equal portions of mixture on a baking sheet with parchment paper. Top with some melted grass-fed butter. If you don’t use bacon/bacon fat, add ¼ cup of coconut oil, melted.